In early 2010, the Lodge was approached by our then APGM W.Bro. 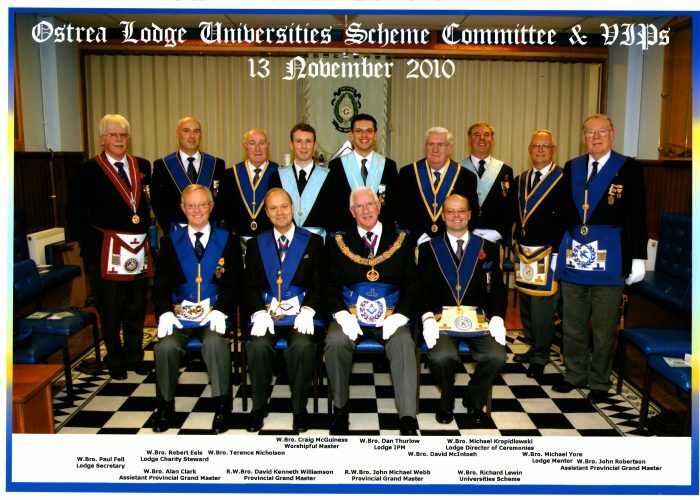 Alan Clark and asked if it would like to consider becoming a member of the United Grand Lodge Universities Scheme. With us meeting in Wivenhoe and the closest Lodge to the campus, it seemed like an obvious choice. However, there was no obligation to join and it had to be a decision that was taken by all the members of the Lodge. The pros & cons were discussed in depth at both a committee meeting and in open Lodge. A notice of motion was given and, at the subsequent ballot, the brethren voted unanimously to join. 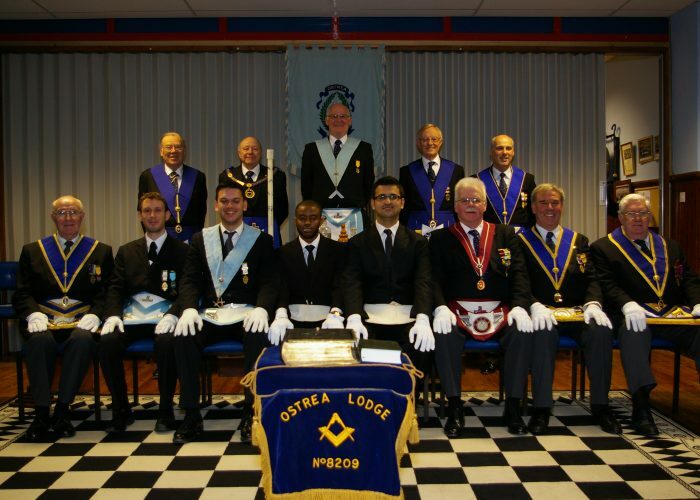 Subsequently, at the meeting held on Saturday 13th November 2010, attended by the R.W.Bro. David Kenneth Williamson, Assistant Grand Master, R.W.Bro. John Michael Webb, Provincial Grand Master (Essex), W.Bro. Alan Clark, Assistant Provincial Grand Master & W.Bro. 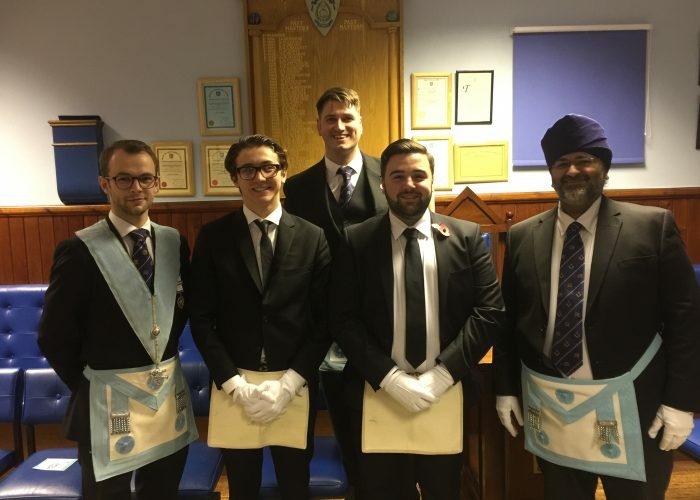 Richard Lewin, UGLUS, the Lodge was formally welcomed and admitted into the scheme. On 14th January 2012, we initiated our first two students, Michael Egbuna (Nigeria) and Salman Riaz (Pakistan). These were closely followed, in March, by Epameinontas Sintos (Greece), Spasimir Vladimirov (Bulgaria), Bozhidar Vaklinov (Bulgaria) and Bozhidar Stanimirov Georgiev (Bulgaria). Since then, we have initiated a further 13 students, averaging 2 each year.